This week I begin an exciting new project, researching the history of the Canadian ‘home children’—or British child immigrants—in the Columbia Basin. My intent is not to create another history on the subject—that has been very capably done by other writers such as Kenneth Bagnell, Roy Parker, Joy Parr, and others. Rather, my goal is to blend memoir and regional history to create a highly personal, highly readable narrative that will appeal to the general public. I only learned about five years ago that my paternal grandfather Cyril William Joyce was one of these child immigrants. It seems he was so shamed by this fact he never spoke of it, not even with his wife and children. Why such shame should accrue to being a ‘home child’ is itself a tragic subtext to this story that is so fundamental to Canadian history. Yet not once did I ever read of it in my public schooling. More installments to the article will follow. I’m grateful for Columbia Basin Trust (CBT) funding through the Columbia Kootenay Cultural Alliance (CKCA) for this project. So said the young English poet Rupert Brooke upon visiting Canada in 1913. Of course it was a naïve assessment: it would have been more correct to say there were yet no British ghosts. Plenty of First Nations ghosts had their spirits imbued in the landscape, and in ever-greater numbers since the coming of Europeans, guns and smallpox. But it leads to the question: Are we a people who have lost our ghosts? Or are we in fact haunted by them, but can’t remember their names? On February 24, 2010, British Prime Minister Gordon Brown raised the spectre of thousands of child ghosts who inhabit our Canadian landscape. Ghosts whose names until now have been stricken from our history. On that day Brown issued a long overdue public apology to the hundreds of thousands of children who were shipped to the colonies from the 1860s to as late as 1967, in the case of Australian child emigrants. As many as 130,000 children were scooped up from the mean streets of empire to be used as slave labour, mostly on Canadian farms and Australian work projects. It’s estimated that about 100,000 of these were sent to Canada, but because the relief agencies and governments were often secretive about the records, accurate numbers have yet to be given. Today there are two million or more descendants of what were derisively known in Canada as ‘home children’. Yet not once in all my years of public schooling did I learn this fact. What was even more shocking to me was learning in my middle age that I am one of those descendants. My father used to wonder aloud why his father, my grandfather Cyril William Joyce, came to Canada as a lad of 16. “It just wasn’t like him to do something adventurous like that,” he says. “When I asked him why, he’d just say, ‘Oh, it seemed the thing to do at the time.’” Yet my grandfather seldom spoke of his family, and took what knowledge he had of them to his grave. I used to wonder if there had been some terrible family rift, or if something awful had happened that he refused to talk about. About all we knew about Cyril was that he grew up in London, England and had arrived in Canada in 1926 on his own. We knew Cyril had been sponsored for emigration by the Church of England, but not why. We had no idea what ship he’d sailed on, or what port he sailed from. Cyril spoke only of the backbreaking work of life on a Northern Alberta farm, when he spoke about his past at all. He was a man of modest stature and build, more suited to office work than the rigours of farming. Although an uncle from England occasionally wrote him letters, Cyril made little effort to re-establish contact with the family. It was as if he was trying to erase his own past. I wondered what could make him want to do that. In 2007 I decided it was time to find out. 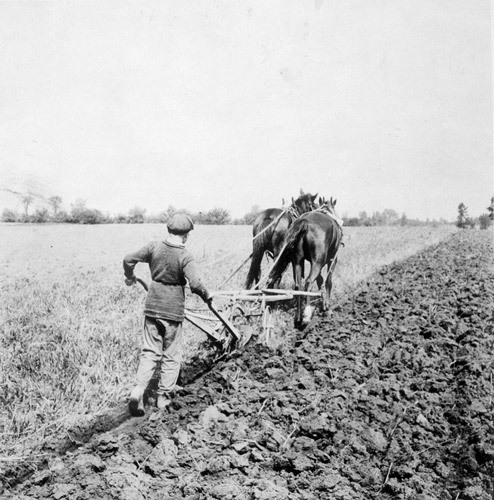 With the advent of mechanization during the Industrial Revolution, the agrarian/cottage-based industry of Britain was wiped out virtually overnight. Thousands of British workers were suddenly unemployed. Families flooded into the cities, where—even with the new factories—there was still not enough work for everyone. The parish relief system established under the Poor Laws dating back to Elizabethan times was overwhelmed. Poverty and disease in British cities became endemic—the shame of Empire. Children were literally dying in the gutter. 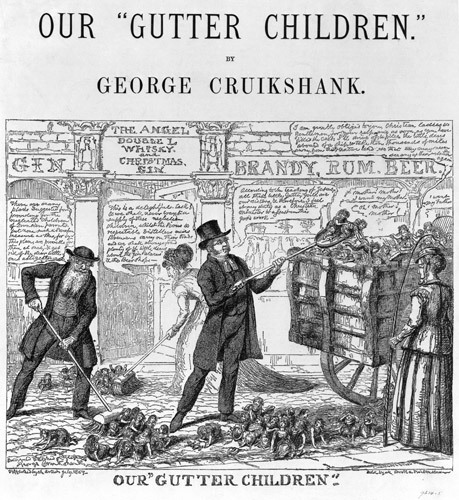 At first, social reformers like Annie MacPherson and Dr. Thomas Barnardo simply wanted to help by creating ‘ragged schools’ to get poor children off the streets. As is so often the case, what began as a charitable impulse was gradually corrupted by greed and political expediency. Soon even the orphanages were overcrowded and the idea arose to export children to the colonies. This served a dual purpose: to keep the colonies British (white) and provide a source of mostly free labour. Before long the churches and government were involved, providing logistical and financial support. 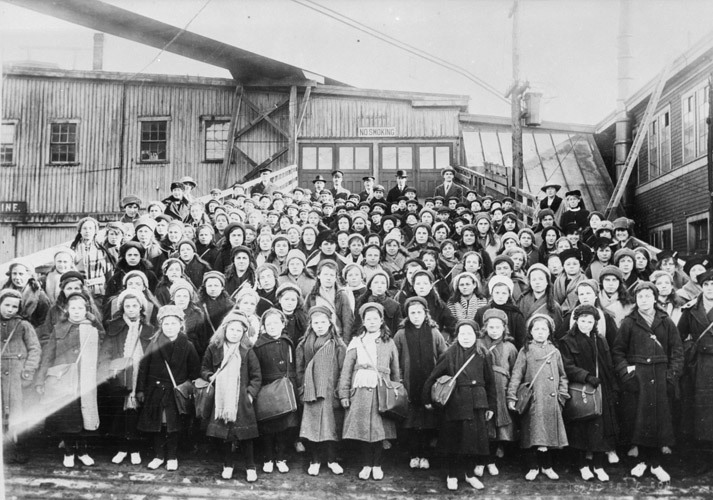 In addition to raising money to equip children with a kit of clothing and basic supplies for emigration, ship fares had to be paid and in some cases emigrationists in the late 19th century earned as much as £2 a head for transporting children. A single ship might carry as few as two dozen and as many as a hundred or more children bound for Australia, Canada or New Zealand. This is where it started to go off the rails. The growing demand for child workers overseas put pressure on officials and church wardens to bend the rules. The Poor Law Boards often used the clergy as their agents in the community. A clergyman thus had a de facto power of law over the poor in his parish, with the authority to take children “into care” as wards of the State if it was determined that the family was too poor to support them. This practice came to be known as “philanthropic abductions.” 1 Poor parents unwilling to give up their children had little choice. Once taken from their families, children were essentially branded ‘orphans’, regardless of whether their parents survived or not. 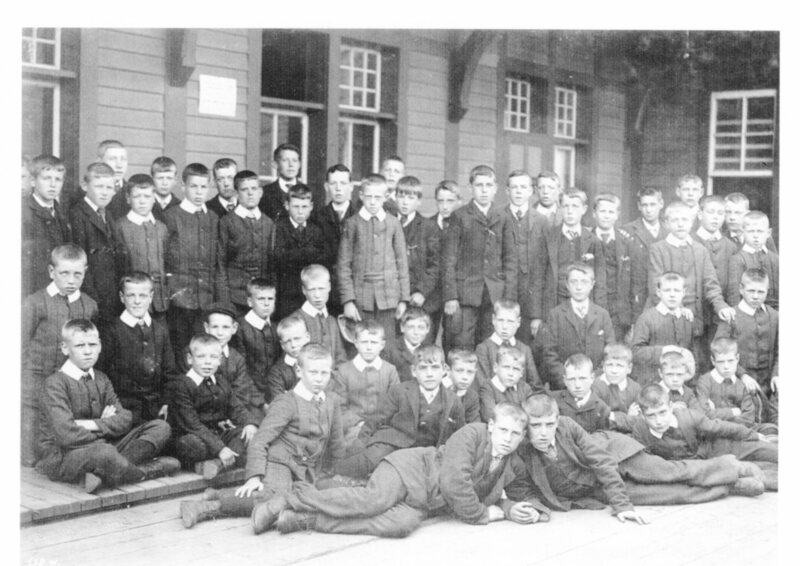 Although parents could occasionally visit their children in the orphanages, some were shocked to discover that what they had considered a temporary placement had become permanent. Or worse, that they had been shipped overseas. Most would never see their children again. The real reason for child immigration to Canada: cheap farm labour. From the image made famous by the 2010 Canada Post stamp. Child immigrants had little or no say in their fates. It was a stark choice: Live in abject poverty on the streets of Britain or be shipped to a strange country, never to see one’s home or family again. In Australia the children were sent to live in institutions run by the Catholic order known as the Christian Brothers. 4 These were little more than child labour camps where children were used to build roads, schools, and other infrastructure. They were routinely beaten and often sexually abused. English social worker Margaret Humphreys has made it a mission through her Child Migrants Trust in Nottingham to reunite as many Australian home children as possible with their families in Britain. Thanks to her work, for many the healing process has begun, the laying to rest of old, anguished family ghosts. According to Perry Snow, a psychologist and the son of a child emigrant from England, the psychological effects on these children ran deep. His father Frederick Snow spent much of his life feeling deeply insecure about his identity. “They underestimated the strength of needing to know who you are,” writes Snow. “No one should live their life without knowing who they are and to whom they belong.” 5 To make matters worse, ‘home children’ were often ridiculed by Canadian kids who viewed them as outsiders, and by adults who saw them as undesirable foreigners taking away jobs. This entry was posted in Uncategorized and tagged civilization, empathy, history, social commentary. Bookmark the permalink. No time to wave good-bye / by Ben Wicks is about this issue as well, although I think his is more about kids who were shipped here during WWII, so maybe it’s not that relevant to what you’re working on. I look at my 7-year-old grandson and try to imagine him being shipped anywhere. Too awful to contemplate. This is a great project and I know you’ll do it justice, Art. I just finished reading Wicks’ book, which is heartrending in places. Primarily he’s dealing with the British children who were evacuated from the cities during the bombing raids over England during WWII, but there are many parallels with the child immigrants. The deep psychological scars of tearing children away from family at critical stages in their development are hard to fully assess. Powerful stuff and interesting how it takes several generations for stories to emerge, especially ones where there is shame or horror. The writing is really satisfying to read, and must have been so in the research and creation. Congratulations. I remember going to school with girls that were from England , sent here for safety , at that time I didnot know my MOM was a British Home Child, I may have been friendlier, it was a few years later MOM started to reveal , just bits and pieces of her life, and then when it was time for the Old Age , pension, we found out a bit more, from Barnardos, because Mom needed a Birth Certificate, but they sent very little about her life. Just a few short years ago when the PUSH was on about the BHC, I resent to Barnardos , and then discovered what my MOM’S life had really been like. Unfortunatley Mom was already gone and a sister also, who had sent for the first papers. My sister wa 9 years older than I , and I wish she had lived long enough to read the papers that came, only then did I and another older brother realize , what was really behind some of my MOM’S attitude, she was a loving , kind person, devoted to her family, but asked for nothing ,and never complained about anything , but you could sense the bitterness at times of stress in her family life. Your story is so compelling and so true to life , as is Perry Snow’s, as I now understand what was behind the feelings of these children. My Mom had 2 sisters and a brother who were to remain , in England, we don’t know what ever happened to them, another brother came at age 5 and was set back , but MOM never knew about this , and he was resent to Canada when he was 8 ,and they knew nothing of each other till WW1 and my Uncle went overseas and only then he discovered he had a sister, back in Canada , so the havoc of seperation and not knowing about family members , was another blow to these children.Perhaps the void in life relationships and the loss of kinship with loved ones , have continued on in the descendants, because of the loss in the lifes of these poor lil ones, I for one am angry at the British government , for not revealing all this years ago, and the nerve of Barnardos for charging anyone who wants the papers on their loved ones. Please continue with your writings on these children , maybe one day we will see it taught in the schools about grandmaothers, grandfathers , cousins, Aunts , Uncles, etc:…………..excellent reading !!!! Mary Arnold , proud daughter of Nellie Page , a BHC, a Barnardo girl………..
Mary: thank you for sharing your mom’s story. In many ways it’s all too tragically typical of what many of the ‘home children’ experienced, and what their descendants also suffered. Psychology and the latest discoveries in epigenetics are showing us that these emotional scars are passed down the line. So the old idea of “just leaving the past in the past” doesn’t really work. As William Faulkner wrote, “The past isn’t really dead. It’s not even past.” Our only path to healing is to bring forward those repressed stories and tell them, share them with our families, and hopefully find a way to close the broken circle that way. Can anyone tell me which group of boys it is just above? My grandfather was a ‘home child’ and one of the boys really looks like my Dad as a boy so of course we wonder if it could be his Dad or uncle. Anna: I’ll post it to our British Home Children Advocacy and Research group on Facebook to see what we can turn up. The picture came from the book New Lives for Old by Roger Kershaw and Janet Sacks of the British National Archives, published in 2008. Not one of the best books on the subject but still informative. Just to add, he was sent to Canada on the SS Mongolian in 1910 so anyone who may have any photos from that group of ‘Home Children’ I would love to see them. Thank You!! !